Are you looking for an inexpensive way to de-stress and relax this weekend but sleeping all day isn’t your thing? 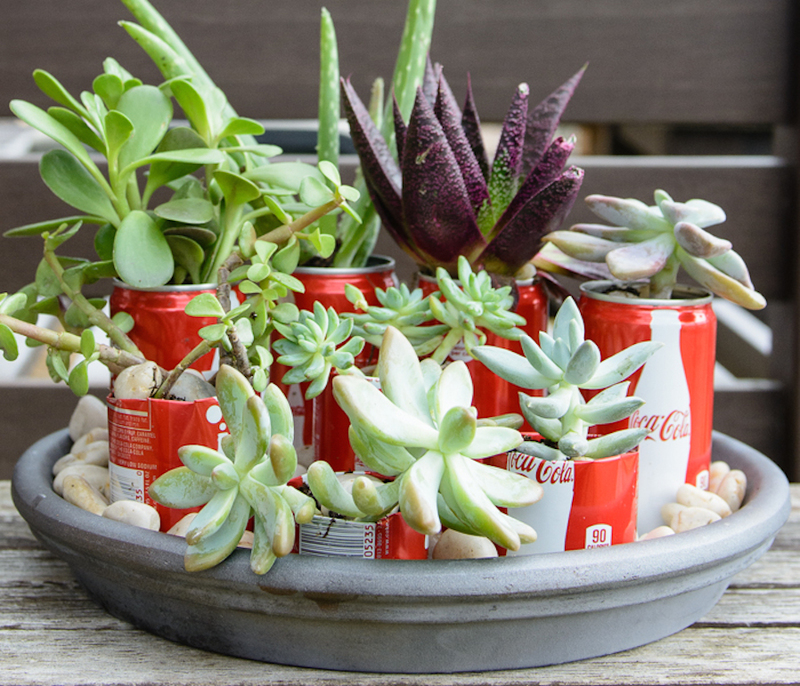 How about doing some condo gardening with a twist? 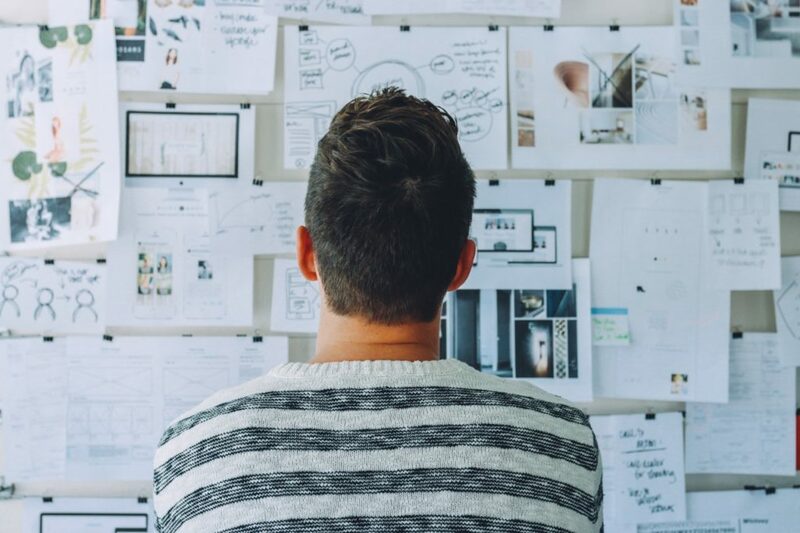 Research suggests that handiwork and activities that involve planning, anticipation, and movement can actually help reduce stress and even combat symptoms of depression and anxiety. According to neuroscientist Kelly Lambert, author of Lifting Depression, hands-on work can satisfy a person’s primal craving to create solid objects, and that physical work that produces tangible results can be a source of rewarding pleasure. So, feeling crafty yet? 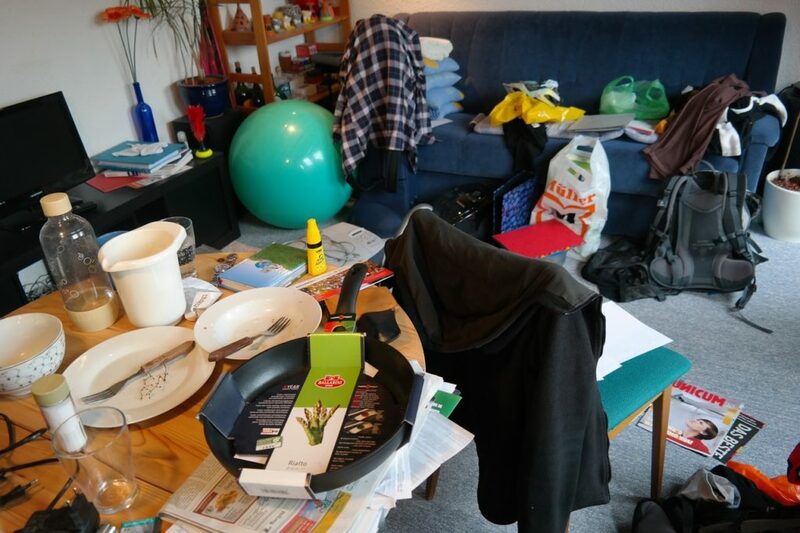 Do you think you have a few hours to spare for a DIY project or two this weekend? 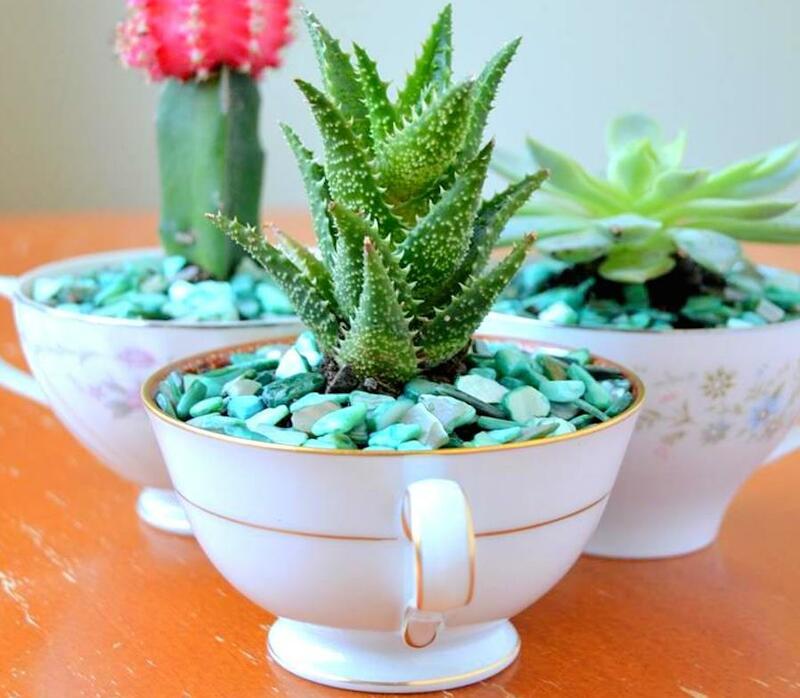 Freshen up both your mind and your DMCI Homes unit with these 15 ideas for DIY pots for condos. It’s time to make good use of the tin cans that have been filling up your recycling bin. 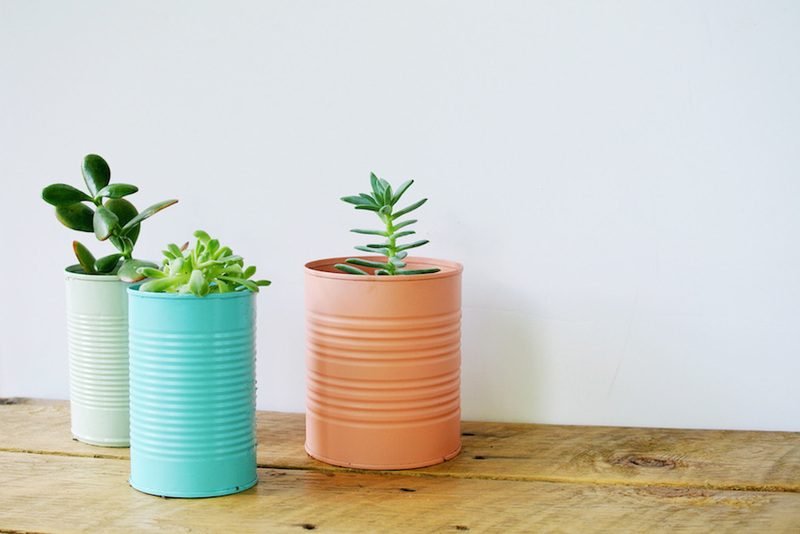 Tin cans have become one of the go-to materials when it comes to DIY projects and you can certainly turn them into lovely pots for your chosen indoor plants. Get a few cans, clean them up, and start beautifying them. You actually have a myriad of design options: you can paint them or simply wrap them with specialty board or paper. You can also glue on vividly colored and designed fabric. If you’re feeling extra artsy, you can always add other ornaments like lace, ropes, or letter initials for a more personalized look. Soda cans differ from food-containing cans in such a way that they are 1) thinner and softer, and 2) they require additional effort to prepare for DIY. You need to cut the top part to open it up for planting. Be careful, the edges are sharp! Remedy that by using an old nail file. Once you’re done trimming, clean the cans and they’re ready to go. 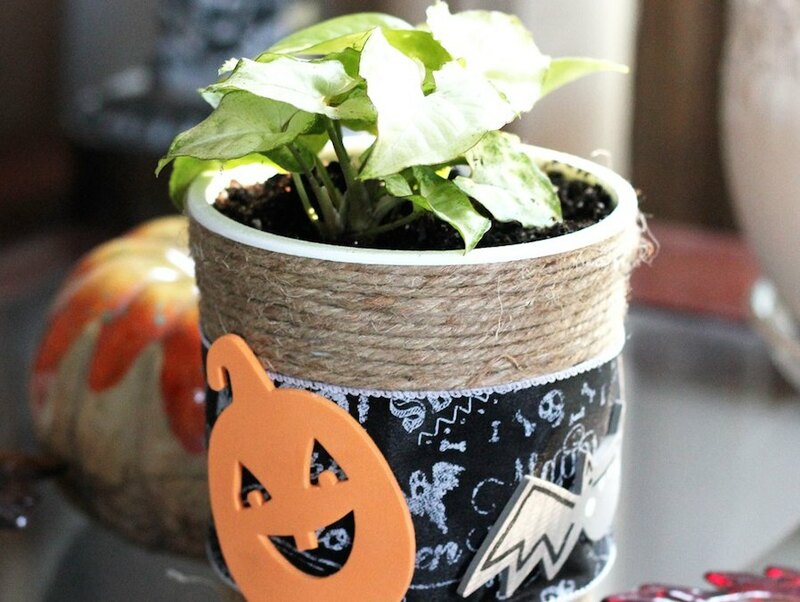 You can definitely customize them with paint, paper wrappers, and or other accessories just like what you used on tin can pots. If you have been living in the Philippines long enough, rain boots have probably become one of your fashion staples. This year may be the perfect time to let your old pair retire and buy a new one. But don’t throw the old pair away just yet. Instantly turn them into a planter by poking additional holes at the bottom for better drainage before adding soil or planting mixture. If you’re a fan of healthy eating, it won’t come as a surprise if you love yogurt. 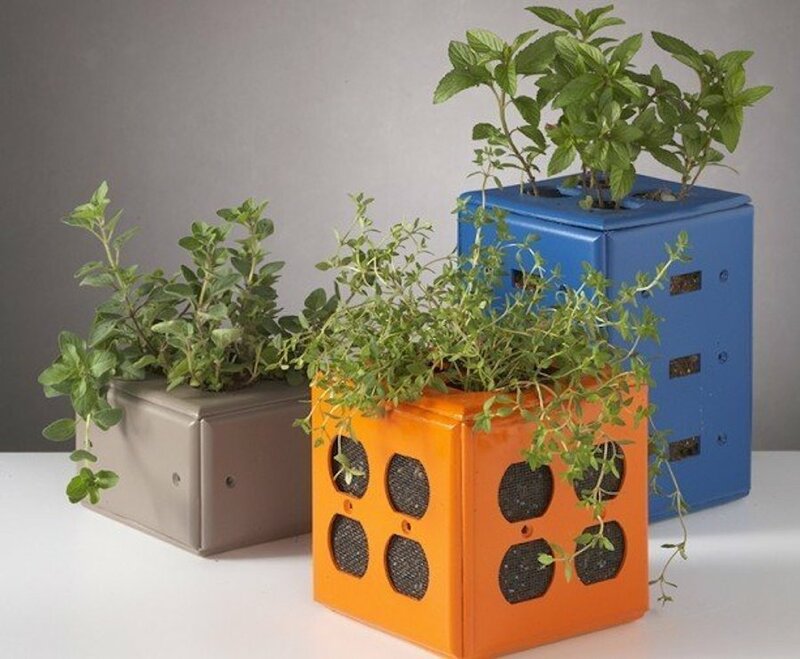 Make use of those sturdy plastic containers by turning them into these cute planters. They are very easy to work with—just clean them up, poke holes at the bottom for better drainage, and apply your creativity magic. Calm down, you don’t have to sacrifice your favorite and valued books for this project. 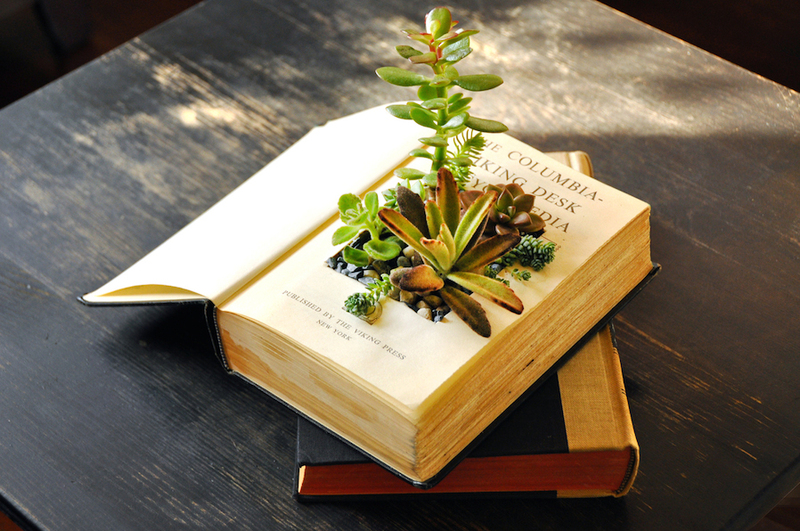 If you have books that are already taking up precious condominium space, this is one way to repurpose them. Cut a hole at the center that can fit a plastic plant bag or tray. Wouldn’t you like to extend your love for books to your home, like literally? These classic jars have been around for over a century but it’s just recently that people started using them again. 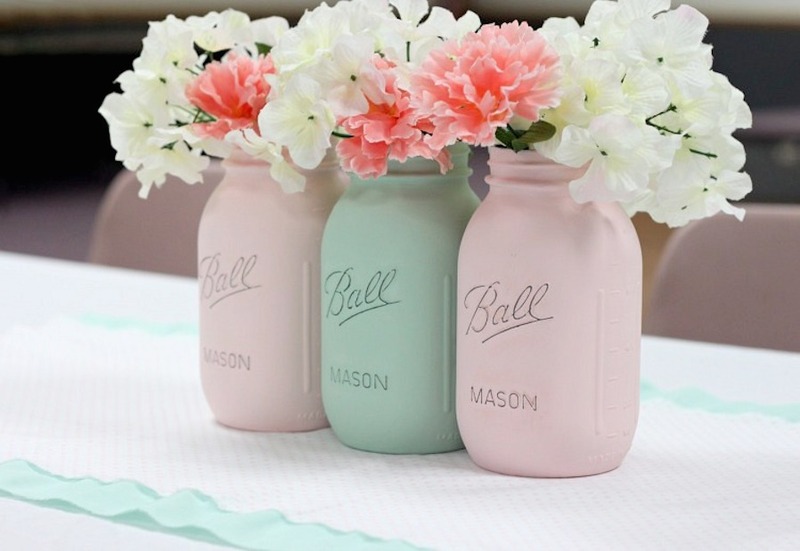 One of the uses that you can have for mason jars is to turn them into planters. You can use them as is, but you can also spray-paint them in any color that you like. Any studio-type condo design can be enhanced by these unassuming jar planters. Now this is something that kids (and kids-at-heart) will love. 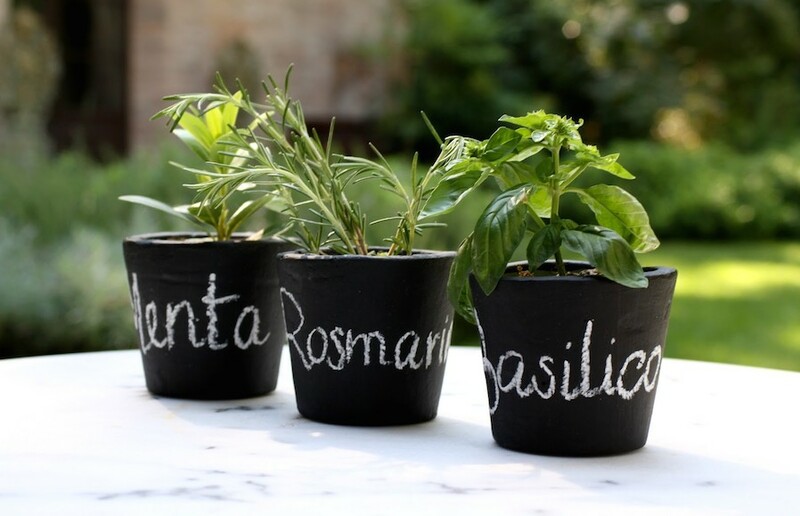 Using some chalkboard paint and cut-out templates, you can give old pots a makeover. Lay the template over the pot and apply the chalkboard paint. When the paint dries, it’s time to have fun! You can choose to write the plant’s name or draw something cute or funny. Floppy disks have long been extinct, but who knows if you still have some in your drawers? Glue or tie five floppy disks together to make a cube, leaving the top part open. You may need to reinforce the inside edges with duct tape to make sure the disks hold together. When done, you can put a plastic pot that is about the same size and height inside. If you still have some extra switch plates lying around, you can recycle them in the same fashion as the floppy disks. These are among the small condo design ideas that will work especially if your unit has an industrial theme. They may be small, but these cups can be transformed into a lot of things. As tiny as they are, they can be big enough to hold some gravel and your little plants. These will perfectly fit in your window sills. If your teacups already have designs painted on them, you can leave them as is, but you can also hand-paint them if you want to. 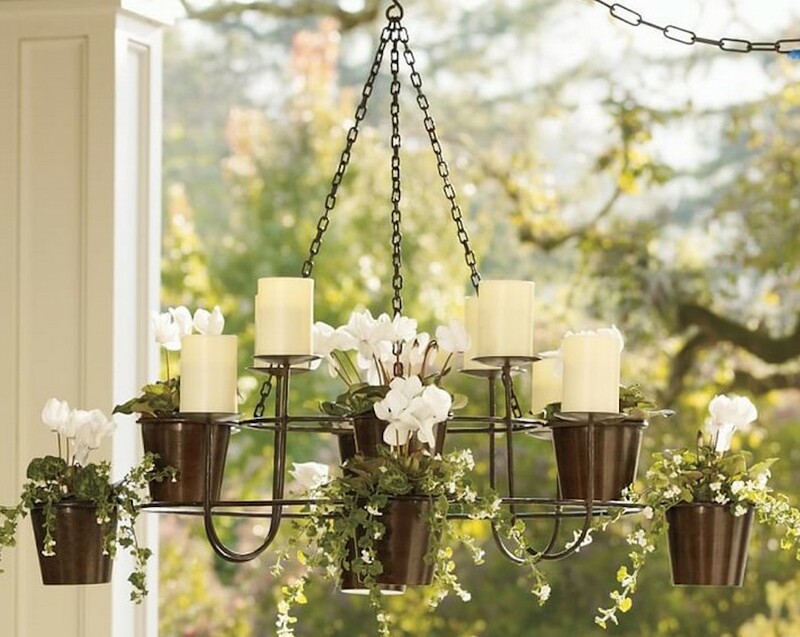 If you have an old chandelier or candle-holder in your unit (or maybe you can get one from your mum’s house? 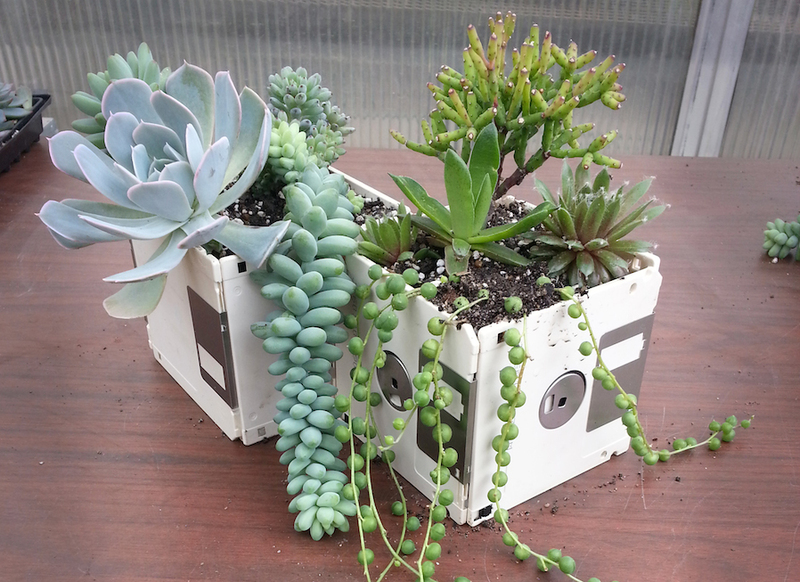 ), here’s a good way to upcycle them. You can paint them over for a color pop, or just let it be for an antique and vintage appeal. If you are using a chandelier, you might need to glue on small pots as shown in the photo. 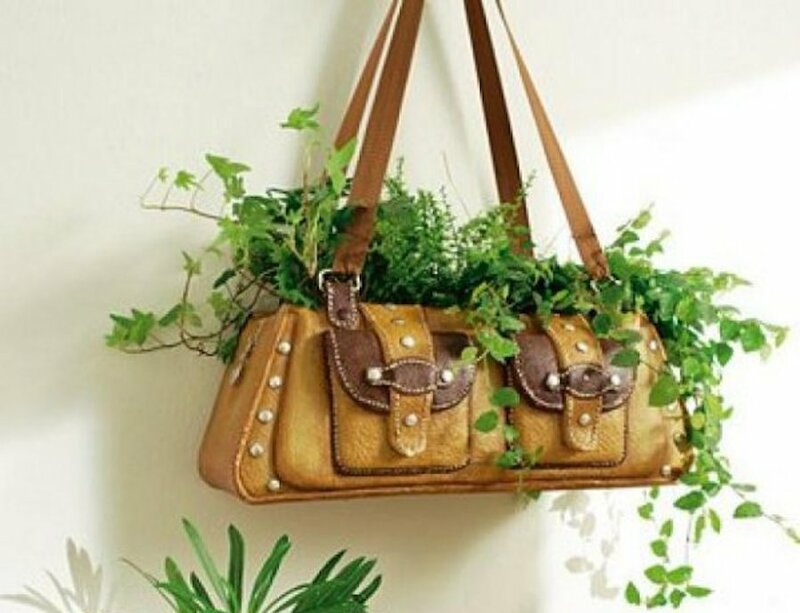 Who knew that old purses, tote bags, and handbags can be made into hanging plant holders? Line them with plastic to keep the soil from staining the fabrics. You can hang these purse planters using wall hooks. These ones are pretty easy to do. Grab your existing pots and have your fabric ready. Spray on or apply adhesive on the pots and cover them with fabric. Voila! 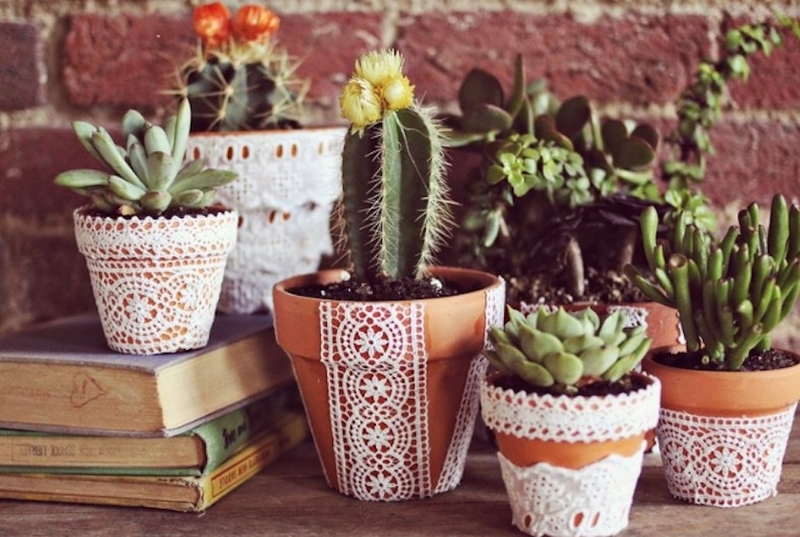 You’ve now turned your boring planters into gorgeous pots. Are you into baking? 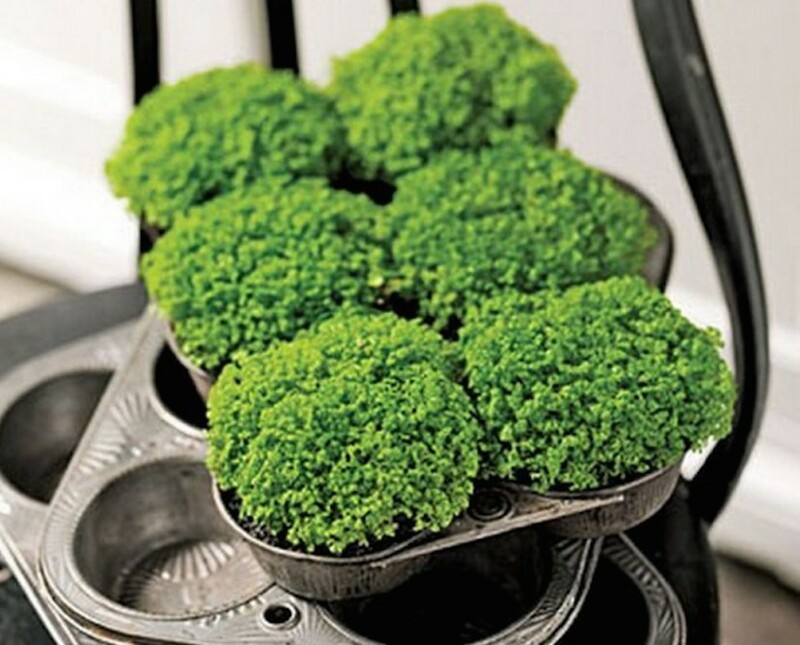 Chances are you have some muffin tin trays that you no longer use. Show the world (okay, your guests) your love for baking with these cute plant or flower planters. These can make good table centerpieces, by the way. Some people have a habit of keeping wine corks and bottles and if you are among them, maybe you can enjoy doing some of these. Take a paring knife and wiggle it around in the center of the cork to carve out a hole. 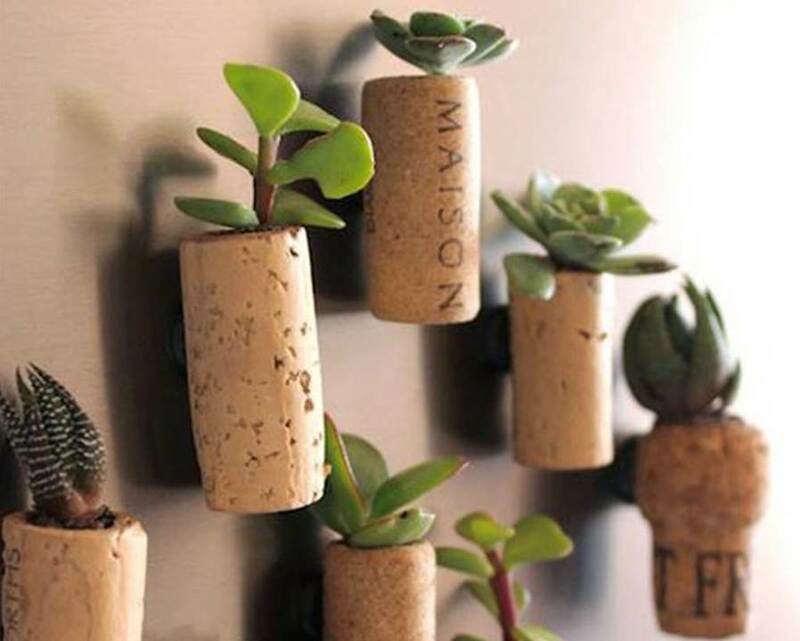 Glue the magnets onto the cork, plant your succulent clippings, and you’re done! 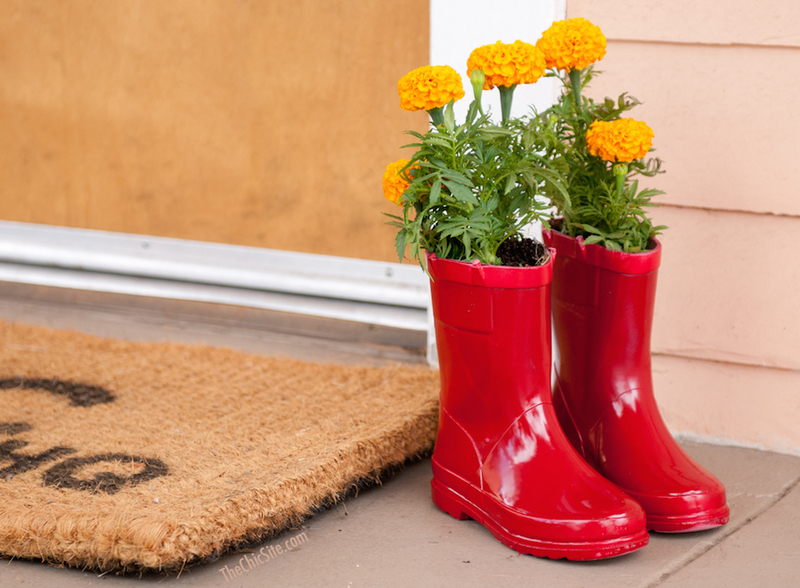 Most of these DIY pots can be put or hung indoors, but make sure that you carefully cover and protect the furniture where you will put them as well as adjacent walls and floors, if needed. If your unit has a veranda, you can also put some of these there. Whether you use these pots and planters as a table centerpiece or a wall decor, they can certainly add spice to your condo’s interior. 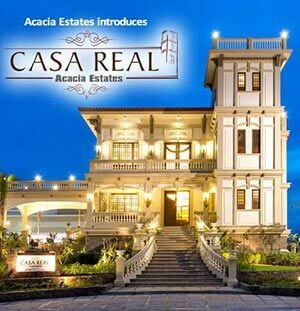 Simple DIY home projects like these do not only add more life and fun to condo living in the Philippines but even help you forget the troubles of the busy city life for a while. So, what are you waiting for? Start looking around for materials needed for your chosen DIY pots. You can also share these ideas with your DMCI Community friend and invite them over for an art-filled weekend!